Join the New American Welcome Center in partnership with Students for Environmental Concerns (SECS) for a screening of “Climate Refugees.” Attendees will have the opportunity to view the documentary and engage with a panel to discuss climate change and its effects on migration. We welcome volunteers from the community to come and help us transplant spring seedlings on the farm. Celebrate Earth Day & plant some flowers with us from 1pm-3pm! There will likely be other farm tasks for volunteers to help with, depending on experience and weather. Get in the sun, get your hands dirty, and get your Springtime on–it’s time to celebrate all things green! There will be fresh fruit, snacks, & beverages available for volunteers. The open air & natural surroundings will surely warm your heart & soul. Join the Urbana Park District and celebrate Earth Day early as you meet Earth-friendly folks and engage with activities and displays from local Faith in Place partners. Some of the events include Short Film Screenings, Nature Hike in Busey Woods, and the EarthCare Expo. Additional fun will take place outdoors at the adjacent Friendship Grove Nature Playscape! This Earth Day, the Illinois Student Government is hosting a carnival themed Environmental Quad Day to bring together all the RSOs working towards sustainability and environmental protection on campus. Join the Green RSOs at the quad for raffles, games and refreshments. The College of LAS, in conjunction with iSEE, LAS Leaders, and the Student Sustainability Leadership Council, invites students, alumni, faculty, and staff to join us for a variety of Earth Day activities. Some activities include: a Lights Off light switch cover station to help people create reminders to turn off their lights, “Tree-via” with iSEE a fun trivia game with a chance to win prizes, and learn more about Illini Lights Out. Celebrate Earth Day by joining the Fossil Free UIUC rally and supporting UIUC divesting from fossil fuels, which contribute to climate refugees, economic inequality, and irreversible damage to our planet and our futures! They need YOU to ensure the Board of Trustees acts democratically and supports renewable energy over dirty energy. 75% of students voted in favor of fossil fuel divestment and holding U of I accountable for financing climate change! Join Students for Environmental Concerns (SECS) at the YMCA for Earth Day! More details and signup form coming soon! 22apr5:00 pm- 7:00 pmCharles David Keeling Lecture: "Severe Thunderstorms and Climate"
Severe thunderstorms, which are often associated with strong winds, hail, and tornadoes, pose substantial threats to people, livestock, and agriculture. While their dynamics are well understood, relatively little is known about how climate change (man‐made or natural) might affect such storms. In this talk, I will focus on one of the main environmental prerequisites for severe storms: Convective Available Potential Energy (CAPE), which is a measure of the potential energy stored in moist atmospheres that can be released explosively when the potential energy barrier that permits its accumulation breaks. I will discuss the work of my former Ph.D. student that shows, rather unexpectedly, that CAPE usually accumulates over only the 6‐8 hours leading up to the storm and that its build‐up is strongly controlled by soil moisture. I will present observational evidence for this as well as a very simple theoretical model and discuss how climate change should affect CAPE and how the new understanding of CAPE may someday allow for seasonal prediction of severe storm activity. Join Students for Environmental Concerns (SECS) on the quad for Earth Week! More details coming soon! Organized mesoscale convective systems (MCSs) are responsible for ~60% of summer rainfall in the U.S. Great Plains and 50-60% of tropical rainfall globally. Deficiency in representing MCSs contributes significantly to climate model biases in simulating the precipitation and its diurnal variability over the central U.S. and tropical circulation, with important implications to modeling the regional and global water cycles. In the past decades, observed increases in springtime total and extreme rainfall in the central U.S. have been dominated by increased frequency and intensity of long-lasting MCSs. Understanding the environmental conditions producing long-lived MCSs is therefore a priority in determining how the characteristics of precipitation may change in the future. Regional and global variable resolution models are being used to perform convection permitting simulations of MCSs and their interactions with the large-scale environment. The large-scale and mesoscale ingredients identified from the simulations and analysis of CMIP5 models provide a framework for understanding and modeling the potential changes in MCSs and hydrometeorological extremes in the future. Dr. L. Ruby Leung is a Battelle Fellow at Pacific Northwest National Laboratory and an Affiliate Scientist at National Center for Atmospheric Research. Her research broadly cuts across multiple areas in modeling and analysis of climate and water cycle including orographic precipitation, monsoon climate, extreme events, land surface processes, land-atmosphere interactions, and aerosol-cloud interactions. She is the Chief Scientist of the U.S. Department of Energy’s Energy Exascale Earth System Model (E3SM). She has been active in development, evaluation, and use of regional climate models and high resolution and variable resolution global climate models. She has served on advisory panels and National Research Council committee that define future priorities in climate modeling. 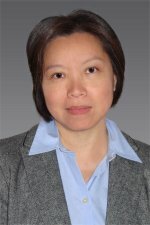 Dr. Leung is an elected member of the National Academy of Engineering and Washington State Academy of Sciences. She is also a fellow of the American Association for the Advancement of Science (AAAS), American Geophysical Union (AGU), and American Meteorological Society (AMS). She received a BS in Physics and Statistics from Chinese University of Hong Kong and an MS and PhD in Atmospheric Sciences from Texas A&M University. She has published over 250 peer-reviewed journal articles. Join Students for Environmental Concerns (SECS) at the YMCA for Earth Week! More details coming soon! Join the Illinois Natural History Survey Seminar Committee at the Natural History Building for a lecture from Yu-Feng Forrest Lin, ISGS, Director of Illinois Water Research Center and Assoc. Director of Sea Grant in honor of Earth Week. This presentation will discuss advances in temperature observation based on several studies using a fiber-optic distributed temperature sensing (FO-DTS) system at the Guarani aquifer system and a thermal response test for geothermal exchange in Urbana as an example on Water-Energy nexus study. Join Students for Environmental Concerns (SECS) on the quad in honor of Earth Week! SECS have a carefully curated selection of succulents and cacti ripe for the picking. Half of all of the proceeds will benefit the Champaign County Health Care Consumer’s 5th and Hill campaign to have Ameren clean up a local neighborhood whose soil and groundwater has been contaminated by hazardous coal tar. Join Students for Environmental Concerns (SECS) at the Turner Greenhouses for Earth Week! More details coming soon! The Student Climate Action Forum is your opportunity to tell us what matters to you, and where we need to focus our sustainability efforts. Whether you’re the leader of a sustainability RSO or a student with an interest in a greener campus, we want to hear from you. During the forum, you’ll collaborate with your fellow students to learn more about our current efforts, help rank our highest priorities, and brainstorm new climate solutions. Refreshments will be provided. We hope to see you there! Join Students for Environmental Concerns (SECS) on the Front lawn of the YMCA for Earth Week! Make your own botanical bath bomb with the Horticulture Club! Learn how flowers and essential oils can help your relax. Join SECS on April 24th to discuss questions surrounding the Global Refugee Crisis. Why do people become displaced? Where can they go? What relief and prevention solutions offer the most promise? What sociopolitical changes are necessary? How can we help as students and activists? During this workshop, we’ll be working to answer these questions and more. Grab all of your tree-huggin’ friends and come on out anytime between 1 and 4 to take an earth-friendly stroll on the Quad! The walk is self-guided, so start and end whenever you like. Just look for the orange table stationed south of the Illini Union to pick up your Illini tree guide. Join Students for Environmental Concerns (SECS) at the Armory for a workshop in honor of Earth Week! More details coming soon! Join SECS to find out about what fossil fuel divestment is and why we need YOU to convince U of I to take part in this international climate movement that began with students like us. It’s time U of I truly invests in our futures. Our university MUST act democratically and remove the money in dirty energy and support renewable energy instead. Join Students for Environmental Concerns (SECS) for a night of art and activism in honor of Earth Week. Local artists will be displaying or performing their work involving the themes of environment, migration, and justice. We will also have sticker and sign making materials available. Let’s celebrate the Earth and the future we’re working to build! Students for Environmental Concerns (SECS) invites you to participate in the Earth Week Clothing Swap. Do some spring cleaning and drop off your gently used clothing then swap out your donations for other students’ items. Every clothing item you donate gets you one item from the donation pool at the clothing swap. Thrifting is a more sustainable, economical, and humane option to buying new clothes, and we guarantee you’ll find stuff here. Last year SECS had thousands of items to choose from and hundreds of participants! If you didn’t get a chance to donate clothes, don’t worry- SECS will also be selling them at cheap prices. Please join Senior Associate Chancellor Mike DeLorenzo for the reading of the Arbor Day Proclamation, and the tree recognition ceremony in the green space to the north of Lincoln Avenue Residence Hall. If you’ve never met a state champion tree, now is your chance! The largest Yellowwood Tree in Illinois is on our campus, and it will be officially recognized by the Illinois Department of Natural Resources. Join Students for Environmental Concerns (SECS) at the Student farm in honor of Earth Week! More details coming soon! 26apr3:30 pmMillerComm Lecture: "The Big Dry: New Drought Projections for the Southwest, Great Lakes, and Beyond"
Many current assessments of future climate and hydrologic change suggest that current drylands around the globe could become drier with continued anthropogenic climate change. In some “early warning” regions, such as the Southwest U.S., there is a clear observed trend in this direction. This is particularly true for the region’s rivers, where the nature of drought is shifting to a more temperature-dominated climate extreme. At the same time, however, some recent and influential scientific assessments suggest that temperature-driven drying could be compensated by precipitation increases with little net increase to water supply or ecosystem risk. A new approach integrating the examination of temperature, precipitation and drought risk indicate that Colorado River flows, sustainable water supplies, and ecosystems in the Southwest are already being seriously affected by warming, and that continued warming could result in much larger impacts than widely thought, even if mean precipitation increases. The implications of these results have serious implications for terrestrial systems in most parts of the globe, including regions with higher average precipitation (e.g., the Amazon and Great Lakes regions). We are now able to say this with high confidence, strengthening the case for actions to reduce greenhouse gas emissions. 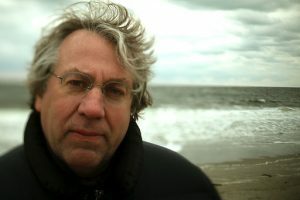 Professor Jonathan Overpeck is an interdisciplinary climate scientist and the newly appointed Samuel A. Graham Dean of the School for Environment and Sustainability at the University of Michigan. Given his leadership position at a peer Big Ten school, Professor Overpeck’s visit will be highly instructive and interesting to faculty and the campus community associated with our own Sustainability Institute (iSEE) and all environmental education units, in addition to the compelling general interest surrounding his research on climate change and drought. 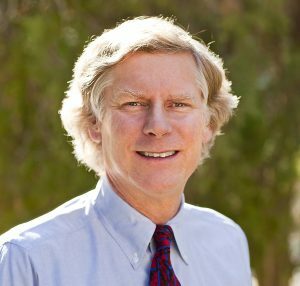 As a world-renowned climatologist, Professor Overpeck has published over 210 papers on climate and the environmental sciences, served as a Working Group 1 Coordinating Lead Author for the Nobel Prize winning IPCC 4th Assessment (2007), and also as a Working Group 2 Lead Author for the IPCC 5th Assessment (2014). Other awards include the US Dept. of Commerce Gold and Bronze Medals, a Guggenheim Fellowship, the Walter Orr Roberts award of the American Meteorological Society, and the Quivira Coalition’s Radical Center Award for his work with rural ranchers and land managers. In addition to his highly productive research, Professor Overpeck has been heavily engaged in the heated public debate over climate change, having testified nine times before Congress and more than once at the Arizona Legislature. Help us turn off the lights to reduce the energy consumption and environmental impact of our campus! By participating in iSEE’s Illini Lights Out, you will be demonstrating your commitment to fighting climate change and saving our planet. This symbolic event shows that climate change is an issue that the University of Illinois campus cares about. Grab your friends and join us as we turn off thousands of light bulbs! Sign up today for one or more of our Illini Lights Out events and get involved in this impactful movement! We will meet in the lobby of the Foreign Language Building (FLB) at 5:30pm for some brief instructions. Then, we will head out to turn off the lights of our assigned buildings. Return to FLB to drop off your clipboard with the data you collected and for FREE snacks! Are you romantic about Earth Week Environmental Trivia? Then join Students for Environmental Concerns (SECS) at trivia night! This annual intersection of environmental advocacy and competition edges out the first pitch of opening day as the true first sign of Spring’s promises. Drama, excitement, the agony of defeat, and the sweet thrill of triumph! Do you have what it takes to be our champion? Come try plogging with us! It’s good for your health and good for the environment. What is plogging? It’s a European fitness trend in which people bring bags on walks/runs and pick up trash and recyclables along their trails and sidewalks to re-beautify natural space. Not to mention, it’s good for the environment and nature’s creatures that otherwise try to eat our trash and get sick from it. Why not make a healthier environment while you get healthy? How? Run OR walk (with a friend, a dog, or new friend) on one of our pre-selected paths, and stop when you find a piece of trash or recyclable item. Put it in either your trash bag or your recyclable bag and move on! If you are unsure if something can be recycled, put it in the recycling bag and we will sort it. If you run, we will have a longer route set up for you. If you walk, we will give you a shorter route. Gloves will be available so you do not have to touch trash. Please do not pick up broken glass or anything that can hurt you. If you want to bring plastic shopping bags that you have no other use for, do so! We will also provide some bags for trash and recycling collection. This event is part fitness, part environmental action, part community service — and definitely ALL FUN. We will have “proof of participation” if you need to record your service hours with an organization or for class credit. Dogs are welcome! They need a clean environment to walk as well. We collected mountains of trash last fall, let’s keep up the momentum! TICKETS GO ON SALE FRIDAY, MARCH 8 AT NOON. Join local Chefs Ann Swanson, Drew Starkey, Mark Hartstein, Leslie Bettridge, Summer Kortkamp, Chris Alwes, Nicole Muvundamina, Heidi Leuszler, and Whitney Braddock on Sunday, April 28th for a delicious and unique dinner made with foraged ingredients from the Allerton Park forest. Among expected wild ingredients are morel mushrooms, sassafras, Japanese knotweed, wild ginger, garlic mustard, and elderberry. Join the College of Engineering for the Energy and Sustainability Engineering (EaSE) open poster session at the Illini Union. View posters and speak with graduate student authors, who will each present a proposal to enhance clean energy supply or promote sustainable development.